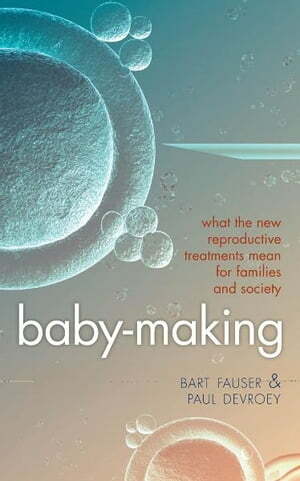 Collins Booksellers - Baby-Making by Bart Fauser & Paul Devroey, 9780191628146. Buy this book online. In the developing world, the choices available to couples for fertility treatments in the 21st century are wider than ever before. This is a time when most types of infertility can be treated by modern 'test-tube' methods, yet reproduction itself has become inextricably bound with social and political trends - declining birth rates, delayed first pregnancy, childbirth beyond the age of 40, the state funding of infertility treatment - fertility treatment is a hot topic, high on the agenda of politicians in their efforts to reverse declining national fertility rates. The range of new technologies is expansive, from embryo selection by genetic analysis to egg donation in the over-forties and cryopreservation. Today, the 'assistance' of conception with treatments such as IVF reflects a life-choice whose context is immediately social, cultural, personal, and political. Arguing that these new technologies allow the 'design' of babies in a way which is far beyond the spontaneity of nature, Bart Fauser and Paul Devroey describe the new treatments, consider what they can do, and look at how far they have come in shaping our everyday lives. Considering the wider implications of fertility treatment, they also look at the issues it raises, and evaluate how far treatments can, and should, go.